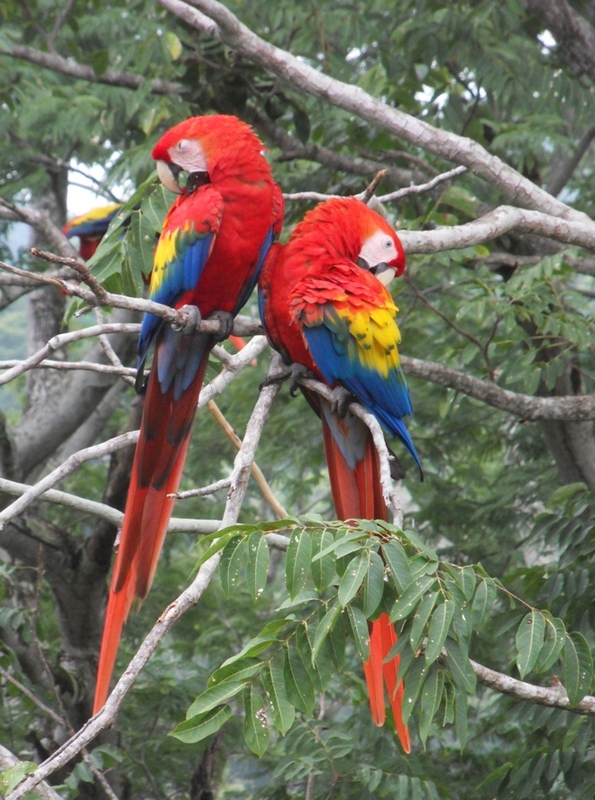 The big red birds are back in Guanacaste. 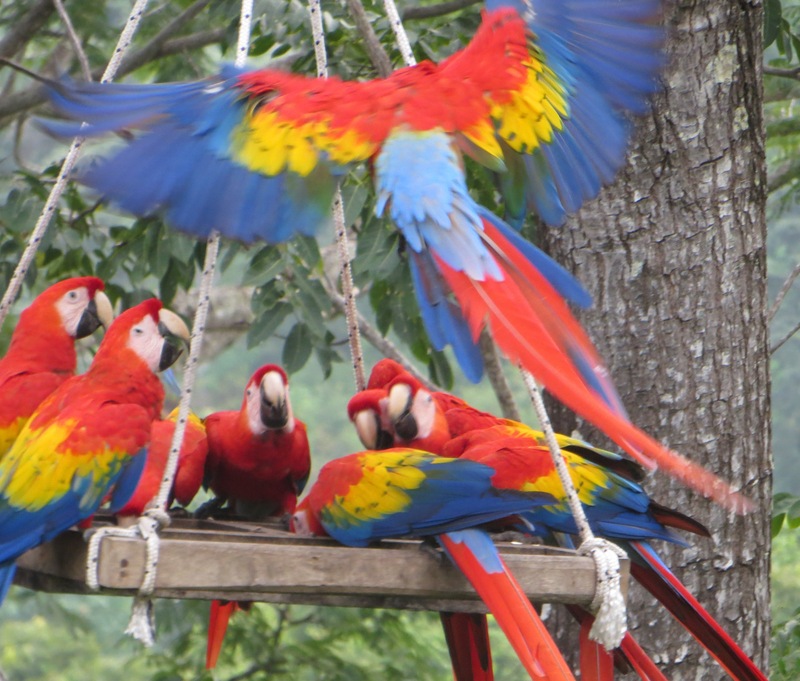 The Ara Project is re-introducing Scarlet Macaws (Ara macao) into Costa Rica, where populations that once covered 75% of the country had dwindled to almost nothing. 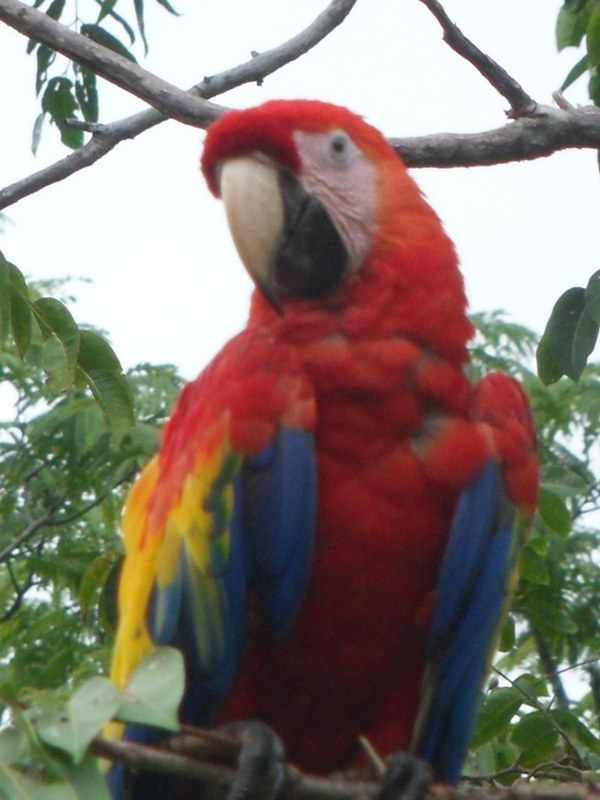 They’ve been breeding in Alejuela and releasing birds for almost 30 years. 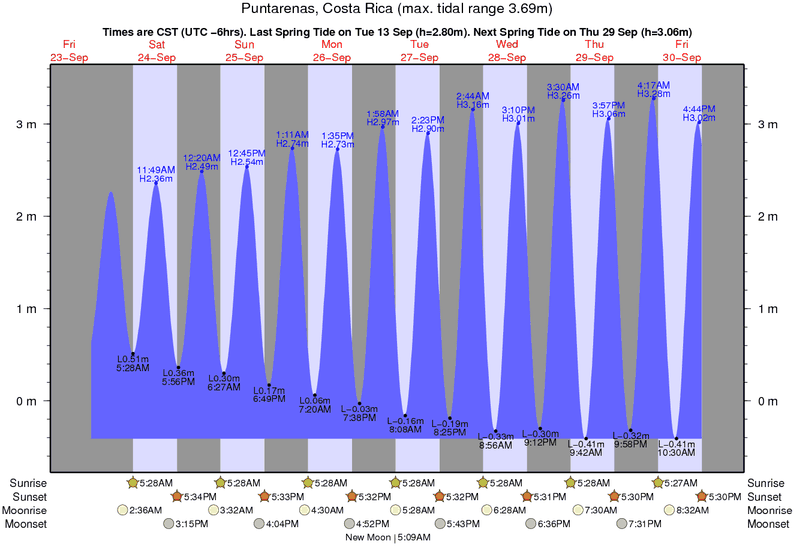 They’ve just released 17 of these giant birds from their new home near Punta Islita. It’s just down the road from us, They plan to release 17 more by 1 November. The released flocks will spread out through the neighborhood with each new release of birds. 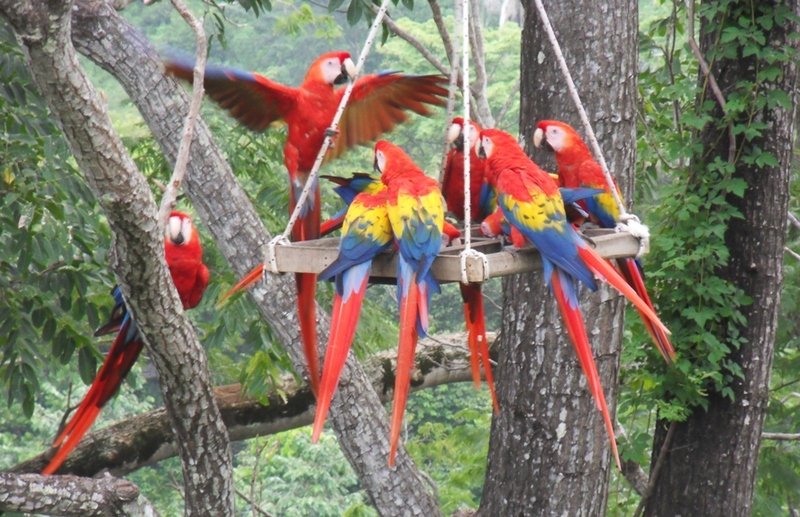 We should see them in Sámara – we’re just 8 miles (13 kilometers) as the Macaw flies – within a year. We’re ready with their favorite food, the Beach Almond. We have lots of Almendro trees on our property at Casa Mango and Casa Papaya. 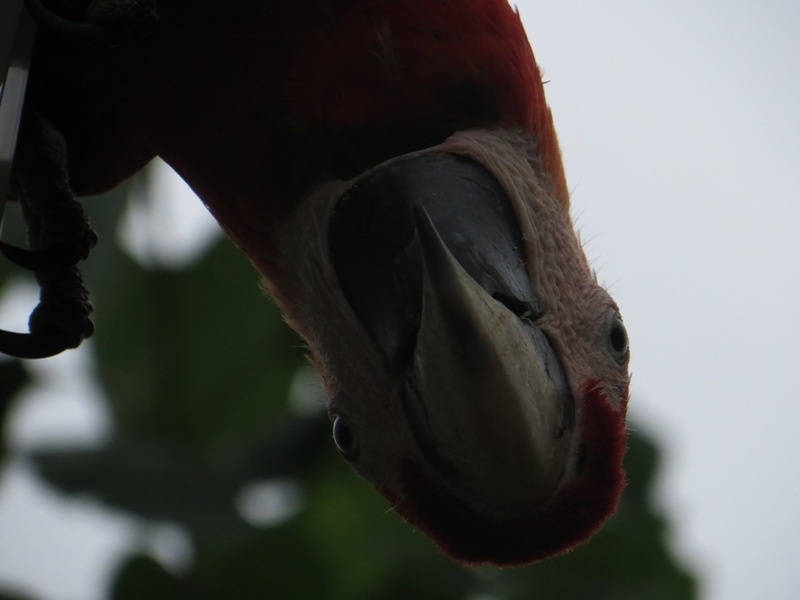 Macaws are majestic, huge and red. Between the 4 of us we took nearly 200 photos. You just can’t help yourself. 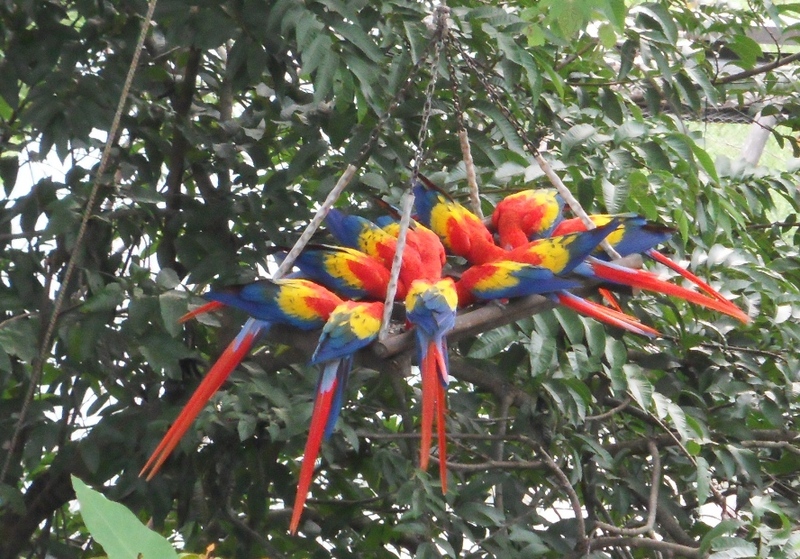 They’re loud, squawking constantly. But it turns out they have language and names for each other. They also understand their human-given names and come when called. What are they talking about? “Food”. Just “food”. (506) 8662-2663. 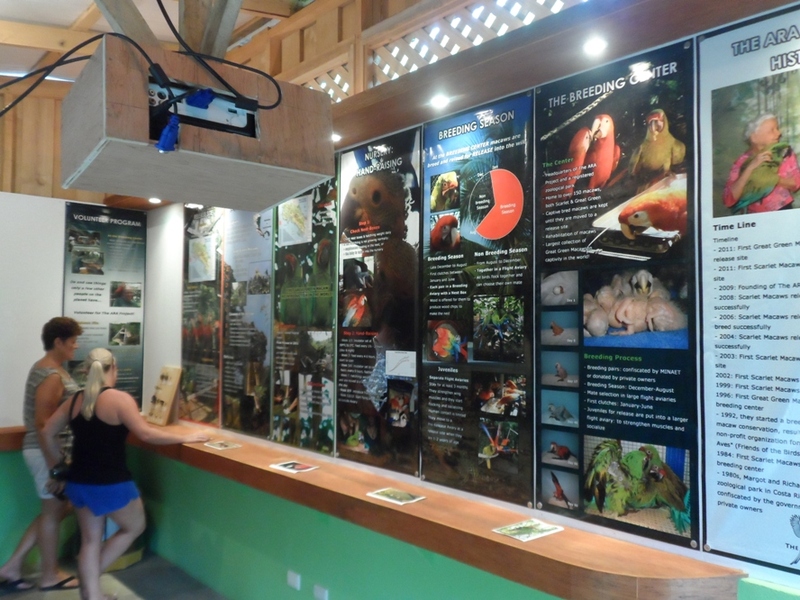 Better yet, tours@thearaproject.org The Project director, Chris, says you’re guaranteed to see Macaws at 3:30PM, when they fly in from the forest to eat supper. With lunch at the resort’s restaurant on the beach, the Ara Project makes a fabulous day trip. Very exciting. Great project. Will plan to make a day trip there next time. 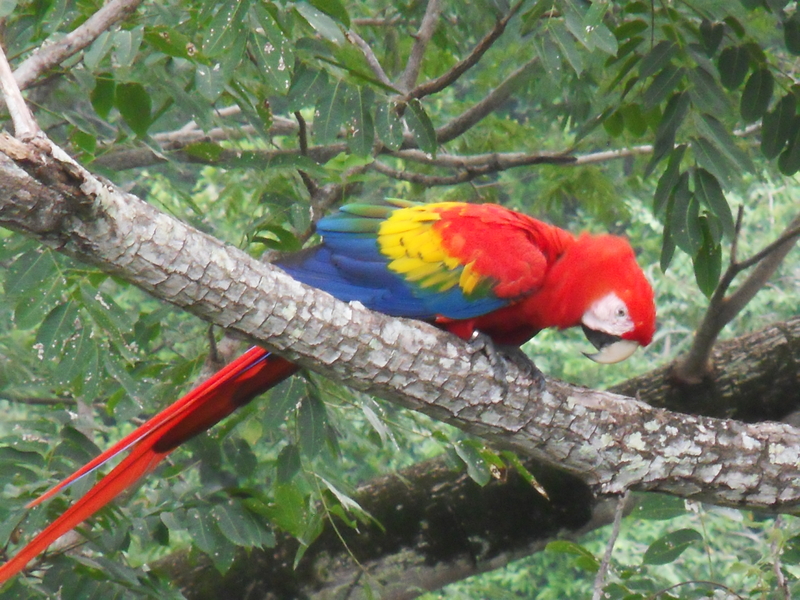 Mostly just squirrels and Macaws eat them. 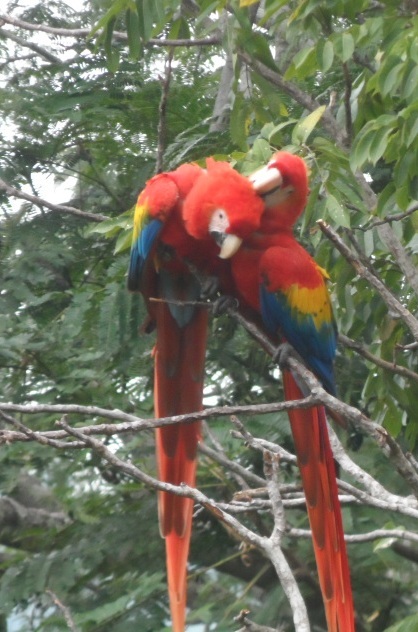 I’m watching for them every day now at Casa Mango and Casa Papaya. We have lots of Beach Almond trees. Can you eat the almonds?